EDI Media Inc. and the East Asian Studies Center at the University of Southern California presents a public screening of “Mao Zedong and Qi Baishi” and a question and answer session with Tang Guoqiang. 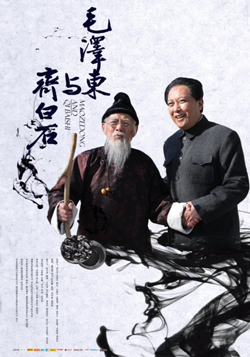 To commenmorate the 120th birthday of Mao Zedong and the 150th birthday of Qi Baishi, this film explores the momentous interactions between Mao, the revoluntary political leader, and Qi, an influential Chinese painter. Presented by EDI Media Inc. and co-sponsored by the East Asian Studies Center, this screening offers audience not only a chance to view the film but also the rare opportunity to meet the celebrated actor who plays Mao, Tang Guoqiang, a prominent figure in the Chinese film industry well-known for his portrayal of Mao. He will be present in-person for a Q&A session after the screening.